SEATTLE — The Oaxaca Philosophy for Children Initiative is a program that was started by a philosophy professor at the borderland university, The University of Texas at El Paso. Dr. Amy Reed-Sandoval started the program seven years ago in an attempt to support an organization called Centro de Esperanza Infantil, or Oaxaca Streetchildren Grassroots. 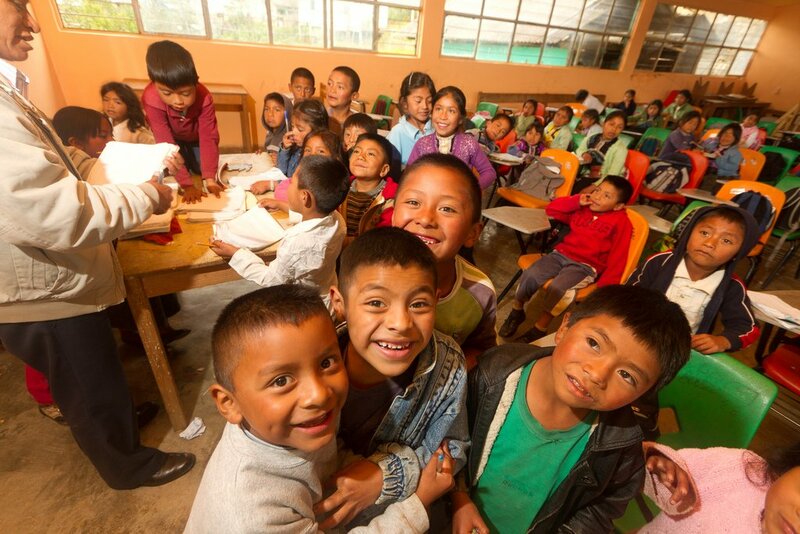 The organization was created to provide education for children of the poorest households in Oaxaca, Mexico. Despite some pushback and hesitancy from the Oaxaca community, the organization granted Dr. Reed-Sandoval permission to conduct philosophy classes during the summer. Becoming autonomous, developing self-confidence and finding a voice is what Reed-Sandoval hopes for the children to accomplish in the program. It is not surprising that people in the community questioned the advantages of employing a philosophy-inspired approach to education for children in Oaxaca, but Reed-Sandoval argues that “asking philosophical questions is, first of all, something that is very important to all of us as human beings”. She adds, “everyone should have access to opportunities to post these kinds of questions and seek answers”. Encouraging children to ask questions helps children develop the confidence to speak up. Reed-Sandoval said, “It is beginning with asking philosophical questions about the way things are that creates confidence and allows for them to feel that they can take charge of their educational experiences.” The program generates a new, progressive way of thinking in order to help the children become autonomous actors in their community. Due to a government proposal for an education reform that was approved in 2013, teachers have been on strike in Oaxaca since May of this year. The new U.S.-fashioned education system is said to be detrimental to children’s education and offsets teacher’s labor rights. Part of the reform requires teachers to pass a test in order to prove they are qualified to teach. Teachers have responded saying that the test does not accurately represent their qualifications to teach. Teachers claim that the factors such as insufficient funds and resources for schools as well as the widespread poverty in the area negatively affect the education for children in Oaxaca. That is how The Oaxaca Philosophy for Children Initiative makes improvements. The program creates spaces in which children feel free to speak up and ask questions. The children get more attention because they are in smaller groups. Reed-Sandoval explains that the program provides a type of education for children in Oaxaca that teachers want to provide but can’t because they have very limited resources. This program can change education for children in Oaxaca, and could eventually lead to larger changes in the community. While a philosophy class may seem like an unusual way to stimulate social change, Reed-Sandoval explains that it depends on how one defines social change. She believes that for social change to occur, “There has to be an interpersonal component and people have to become inspired and willing to see the world as a place that they can change.” It is at that point in which people begin to see themselves as agents of social change, capable of making big changes happen. The Oaxaca Philosophy for Children Initiative can be the spark that inspires children to ask questions and gain confidence, and eventually, change education for children in Oaxaca.